Since going natural in my life, thanks to Noodle's little situation, I have found many, ummm, interesting things. I also have found a lot of really, honestly interesting things. When you start to look at what you're putting in your body, you start to look at all the things around your body too. And then you start reading blogs and articles about what you are keeping around and on your body. And then you kind of get the creeps. Because, really? If you think about it too long it does get a little gross. And all that thinking hasn't gotten me entirely past my orange-colored-cheese-like-stuff addiction, but it has really gotten me thinking about the things that I am bringing into my home, putting in my children's mouths, and cleaning both our home and ourselves with. And looking for alternatives. One of the alternatives I found was a company called Shaklee. Over 50 years old, Shaklee offers all natural, non-toxic, biodegradable alternatives to many of the cleaning products we use in our home. They offer a lot of other things, too, but the cleaning products were what caught my eye, and while the other things may be absolutely amazing, cleaning is what we are talking about today. Because spring cleaning is upon us. Shaklee's motto is "We provide a healthier life for everyone, and a better life for anyone". Which sounds great to me, because who doesn't want a healthier/better life? No one, that's who. Duh. But one of the other things I noticed on their website said "Always Safe. Always Works. Always Green." Which I took as a little bit of a challenge. Not the first part. Or that last part. I liked the sound of both of those, but it was that middle bit... Always Works. Really? Always? I mean, how great can it be? Very little in life always works. So of course I ordered some. I'm not going to lie - the packaging on this stuff is fan-freaking-tastic. I was a little worried that I was so caught up in how great all the products looked that I was willing to overlook any defects in the product itself. And the product line is broad, covering everything from multisurface cleaning, to dishes, to laundry. 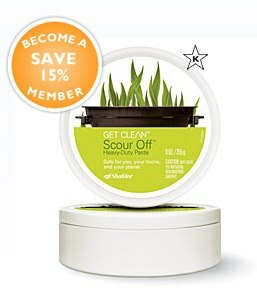 So I had to choose something to start with, and I chose something called Scour Off. Mainly because it smelled good, in a really subtle way. And it looked like fun to use, with it's interesting pink color, and slightly-gritty-but-still-kind-of-smooth texture. And because it said it was for ovens, among other things, and I have an oven that makes cleaners run for the hills shaking and crying like a baby. Ewww. And those photos really don't do the ickiness of the oven justice. It's ickier than it looks. I swear it. Mmmm hmmmm, that is the same nasty door that you saw two pics ago, except now it is shiny and bright. So shiny and bright, in fact, that you can see the reflection of the refrigerator next to it. See it's handle? And see the lights in the ceiling? All you saw before was grease from something I cooked many, many months ago, and now you see beauty. Amazing, that's what. Yup, those same couple minutes also got me this. Without nasty chemically fumes. 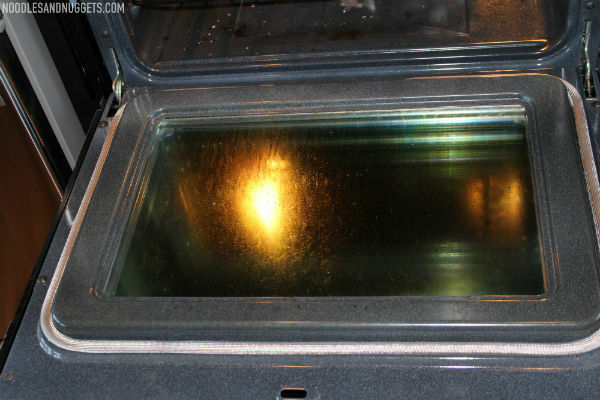 Yes, I probably could have gotten similar results by using the auto clean option on my oven (if it has that. I really have no idea if it does.) But that takes HOURS. This took minutes. And a little scrubbing, which I am okay with as long as I am not breathing fumes while I do it. Scrubbing, yes. Fumes, no. Plant based ingredients, yes. Chemicals, no. Again, amazing. So, now here I sit, at 1:34 in the morning, excited to get my spring cleaning on, which I can honestly say has never happened to me. I am super excited to see what the rest of the cleaners can do, but maybe not in the middle of the night. Maybe that is a post for tomorrow. Yes. Definitely a post for tomorrow. 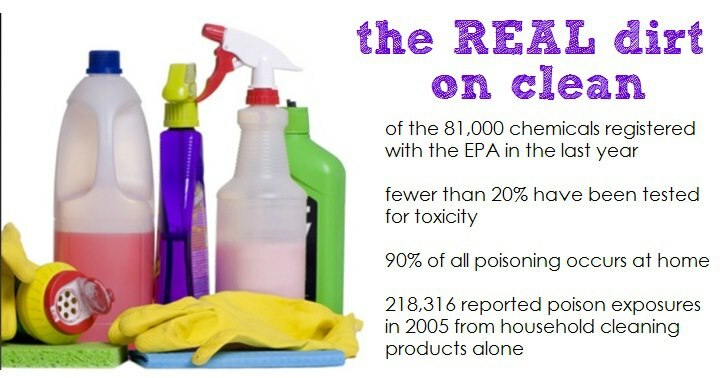 Want to know more about Shaklee's cleaning products, and other products for that matter? Check them out HERE!